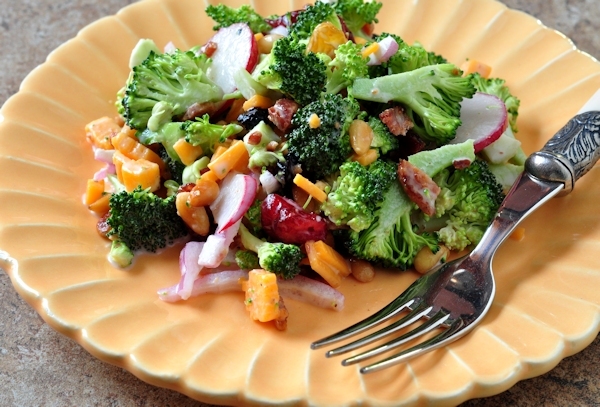 Combine the vegetables, bacon, fruit, nuts and cheese in a large bowl. Drizzle about ¾ of the dressing mixture over and combine. Chill for a couple hours before serving - stir again and add more dressing if needed.